“So what did you decide Durre?” that was the first thing he asked as he gave me a peck on my forehead like he always did when he came. “I’m going to come.” I said and saw how bright his face lit up, he smiled at me and his eyes sparkled. “How do you plan on taking me from here Fakhir?” and his face that glowed like a star dimmed again. And the time we spent together that day was anticipated to be the beginning of my new life. The next day when Fakhir came, I knew he had talked to Jahaan arra the previous night. He had a look on his face that was hard to read, it is said that the face communicates half of the things but what I saw in Fakhir’s face was not hope or joy but a look of dismay and worry. “What did Jahaan Arra say? Did you talk to her? Are we leaving this place?” I exploded with questions as he stayed quiet and sat right next to me, his eyes showed no joy no happiness but a sadness that reflected a fresh wound placed on his heart. “Durre I did talk to her, she said I can come meet you but it’s against the rules to sell new girls off and she’s demanding millions for you. I don’t have that sort of money Durre, my father will never pay me to buy you from here.” and with that it all went numb for me, my heart that had started to learn how to live again died. Like someone suffocating you, killing you with a dagger slowly and with every hit the wound gets deeper and more lethal till the blood runs out and the pulse dies out. I sat in the corner and started to cry, Fakhir kept consoling me, hugged me all through the night but I was right, no hope for my soul was better than any hope at all. At least that way I knew I wasn’t going to be broken and built up only to be broken again. It is funny how we don’t know how far we can tolerate unless we test ourselves but still we try surviving and fighting regardless of the results. Never in my wildest imagination had I ever thought about being here but I was, never had I thought I would be placed in a situation as such but I was, my life had burnt like a cigarette and the ash was now crumbling, gently decaying to the end. The ember, fading away as I dropped my life onto the dirt. Hearing the sizzling of heat in the end. I was more numb than disappointed because hope abandoned me. That light at the end of the tunnel was out now and I was to stray and die in this darkness. Fakhir left the morning and I lay in bed all day long thinking about the life I had in me, this child was mine and I would be the sole person to bring it in this world to be responsible for whatever this child faces. No father and mother a prostitute- born with the worst luck possible. I could now feel Akram dragging me through then van by my hair but the pain of this dead child was far worse than that, my life and my sole reason to be alive was dead. He kicked me more and so did a couple of other men, spat on me, kicked my face and my jaw cracked but all I could grieve about right now was my child. I remember the day when it all happened, followed like a storm and my last memories played a bitter cruel symphony. After some days, I remember Fakhir coming to me and the first thing he said was “let’s run away Durre. Let’s just get out of here.” I was now determined not to give this child the environment the kids here faced, the status that harami children were given by the society yet it was this society who made them in the first place. Men who buy love and pleasure and then disposed the outcomes of it like tissue paper. Humans who prayed and feared God in the eyes of others but denounced him in the core of their hearts. Sinners, all of them, pretending to be saints in the eyes of others. Betraying people and themselves. The world works in different ways and bends accordingly to people and there are no rigid rules for it. Akram, Fakhir, Jahaan araa and me all part of the puzzle pieces fitting into a picture that presented not so jolly view but a scene that reflected misery, sorrow, and despair. 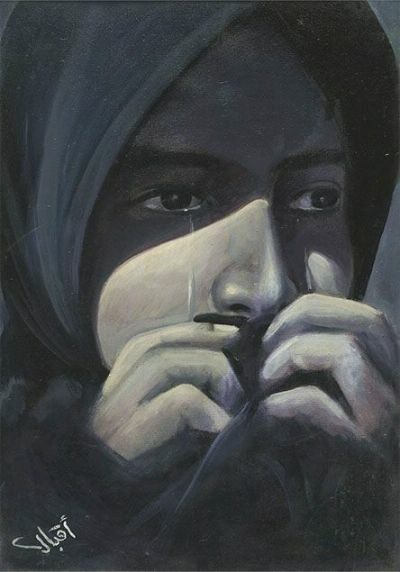 It had been ages since I said the word Ama out loud and openly confessed to Fakhir that there hasn’t been a day in my life that I missed the warm embrace of my mother, her smell, the touch she had and the songs she hummed while I rested my head on her lap-I began to cry. We didn’t really have a phone back home in the village but there was this shop where every relative of the people who lived in the called and I had it memorized. I remembered it and immediately Fakhir called home. My pulse raced and I was anxious, a man picked up and Fakhir explained that he’d like to talk to Malik Munir’s wife and then handed me the phone, after a while I heard a woman’s voice “asalamualikum! Who is it?” I wanted to speak but I couldn’t, it was ama-my ama. Her face began to come in my mind and tears filled my eyes. “Ama it’s me, Ama your Durr e Shahwar.” I said in a shaky voice. I heard Ama’s voice in tremble and then I heard crying “Meri Bachi! Are you okay? Where are you? Where did you go? Come back! We forgive you but please come back.” Ama went on and on and I stayed quiet, I wish I could tell her where I was now and what I was facing but it was way late and I had already disappointed and broken her heart once, if I told her my condition now I knew my mother would die of sorrow. “I’m okay ama, I’m happy! Don’t worry” that’s all what I managed to say when I broke up crying and I heard ama “don’t lie! Where are you come back? Don’t lie to your mother, I gave you birth I know you.” And I disconnected the phone; I could not talk to her anymore. I got to know that no matter what your parents forgive you because you are a part of them and nobody can stay mad at their own child forever. I felt happy in a sad kind of way after talking to her. I was determined to take this baby away from this place or if I do give it birth here I planned on killing it to meet a future so devastating and I was to take any risk possible to save my child. And with that I was on a new journey that was only to be made by me and my child. you always have that addiction type of thing at the end, because of it we are so eager about the next part. Seriously it was too touchy.. even i am a guy buh ma heart cries out..
Reading your stories…it makes me want to write a blog as well. I used to write stories just for the fun of it or to channel my feelings. I am seriously considering the idea now. Just waiting desperately for the part six now. You’re amazing at this, really amazing. I am sure the audience is glued to your work piece… kUDOS! truly tremendous!!! !seriously personally i am not perfect reader but the way story is written it make me force to read the books…..